Don’t read further if you don’t want to have the Lost in Austen tv series spoilt for you. What follows is a list, the list, I should say, of characteristics that make Mary Sues all over the world blush in their inferiority. I guess that some minor notions, like that your OC is both a romantic and spunky character, miserable and tragic too boot, and has to tell everyone around what to do, even though they don’t understand her and do mistreat her so much, goes without saying. Did I mention that everyone thinks her just like Lizzy and very beautiful? Don’t worry that the sweet and irresistible Amanda is going to steal all of the novel’s characters. As a Mary Sue without fault, I’m sure she has all of the goodness and naivety in the world, and so all of the attentions are unwanted and unasked for. It is simply unavoidable that, since she is so wonderful and so ORIGINAL, everybody must fall for her. Once she has her way, she might even refuse the marriage proposal of the handsome and courteous Darcy, and graciously leave the leftovers of what was once the great dashing hero of British literature over to one Elizabeth Bennet. What a pity that not so dashing or great any longer, since one can’t seriously respect a man who fell for Mary Sue, can one? Guess what the producers of Lost in Austen say about their Amanda? Everybody is going to love her!!! It’s the simplest, the most unassuming definition of Mary Sue I ever heard! 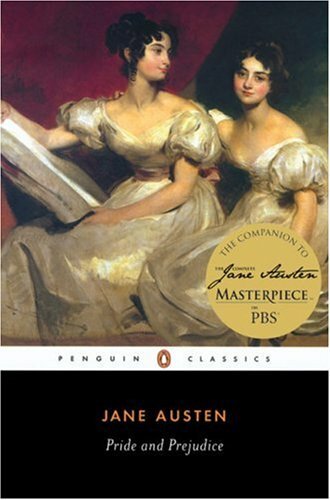 You realize that ‘Lost in Austen’ is supposed to be something comical and a little absurd right? Everything is this way not because it has to be taken for something serious and important but because it’s kind of a parody. So your comments are pretty useless and unwarranted. Maybe you should take a breathe and think about what you’re doing before you decide to criticize someone else’s work the next time. With no respect at all for your article, I bid you goodbye! Dear Esmerald, I love comedies, parodies, absurdities, and the British sense of humour in general, but the character of Amanda wasn’t a parody, it was a Mary Sue. It is a misconception that authors who write comedies don’t treat their work as something serious and important, they do. You can be good and comical at the same time (Monty Python or Rowan Atkinson come to mind). As you’ll notice I wrote the above after reading their press release, but once I watched all of the episodes I haven’t commented on the series at all. It simply wasn’t that good. But I’m fine with your liking it.